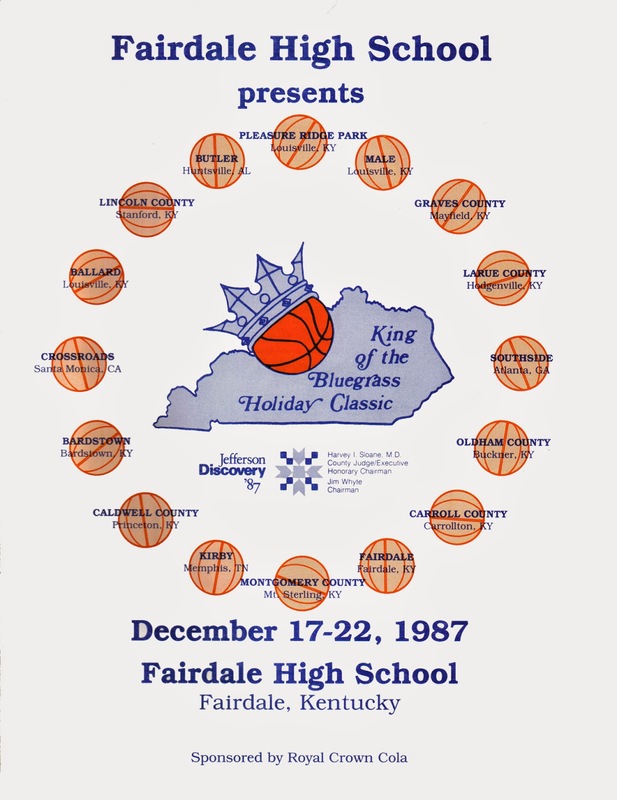 In December of 1980 Coach Stan Hardin, Assistant Coach Lloyd Gardner and Athletic Director Butch Greschel headed south for an after Christmas basketball tournament in Ocala, Florida. 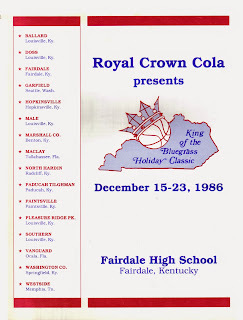 In 1974 Coach Jim Haley, the head coach at Ocala Vanguard, was the brainchild of the first high school tournament in the United States with a national flavor… the Kingdom of the Sun. 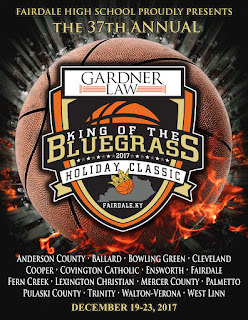 While enjoying the beautiful Florida sun between games, the basketball guru’s decided if this would work in Florida, in the middle of football country, it would certainly become contagious in a state where basketball is king, Kentucky. 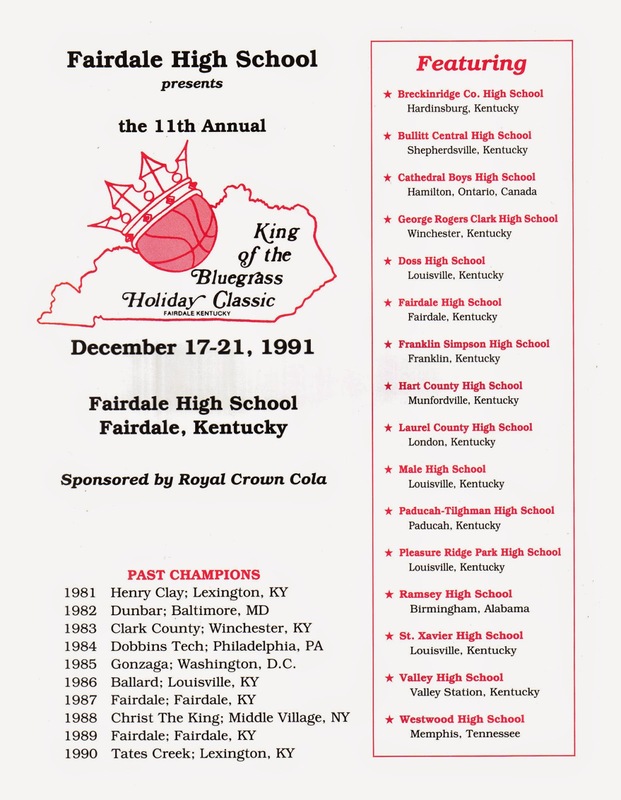 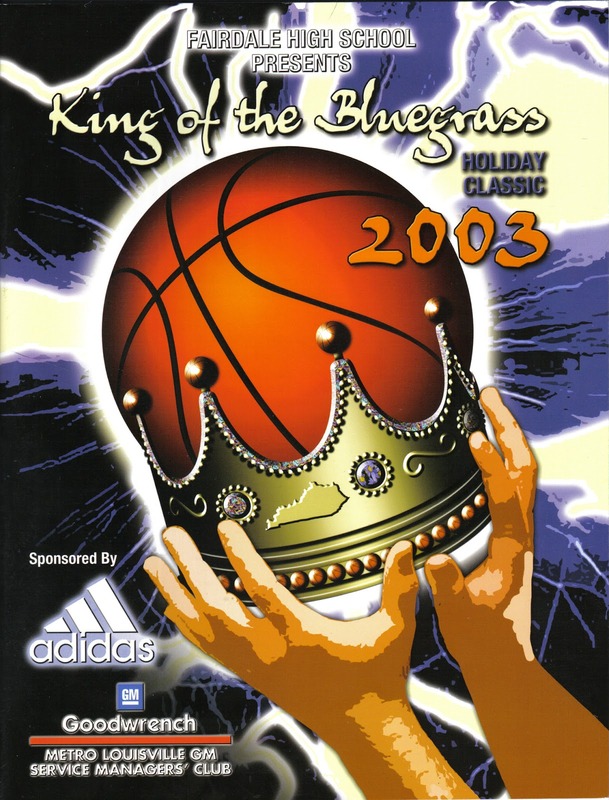 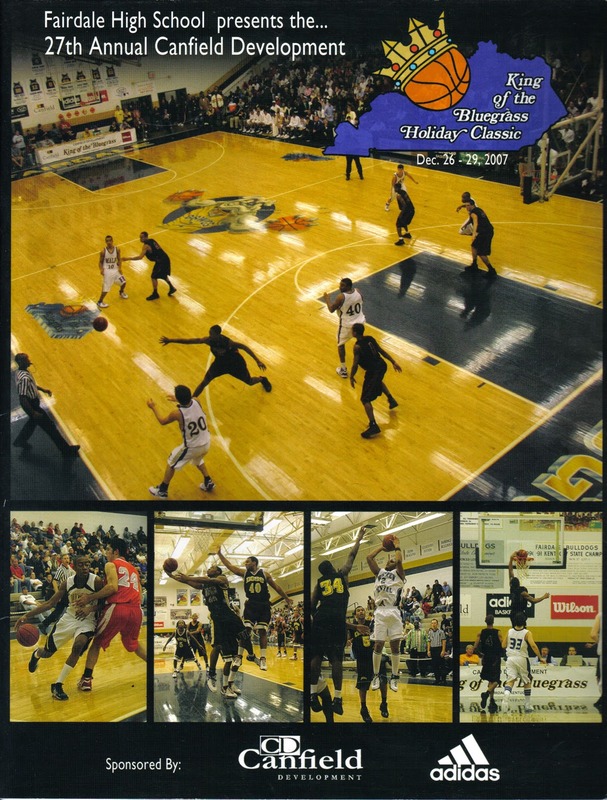 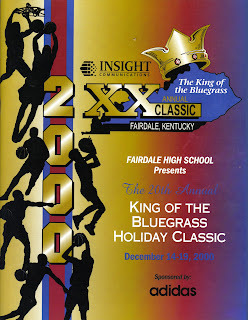 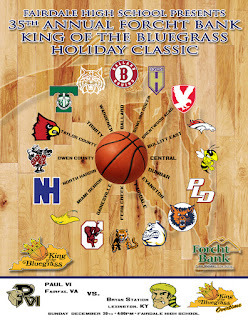 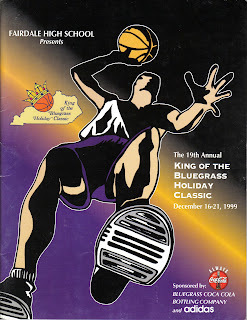 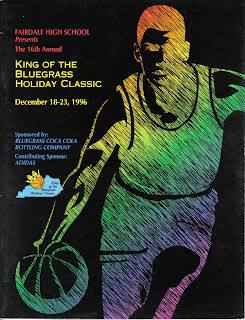 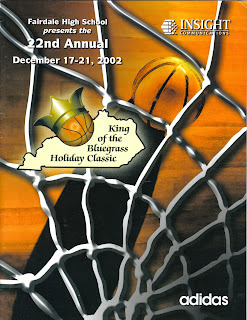 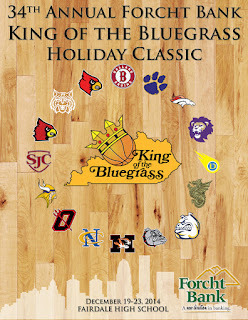 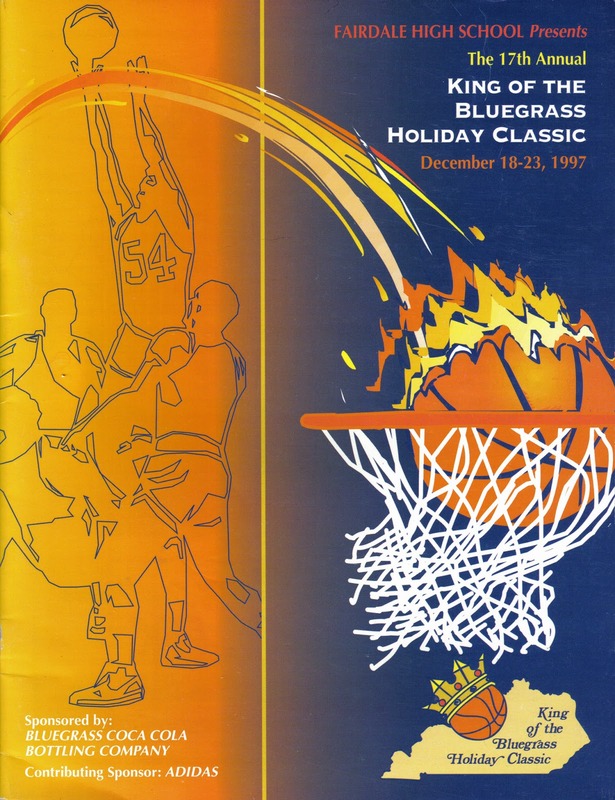 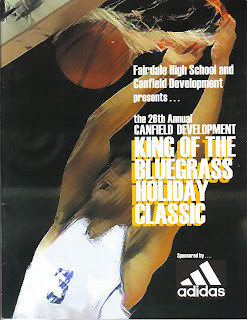 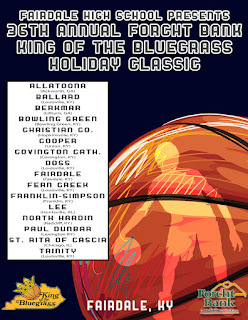 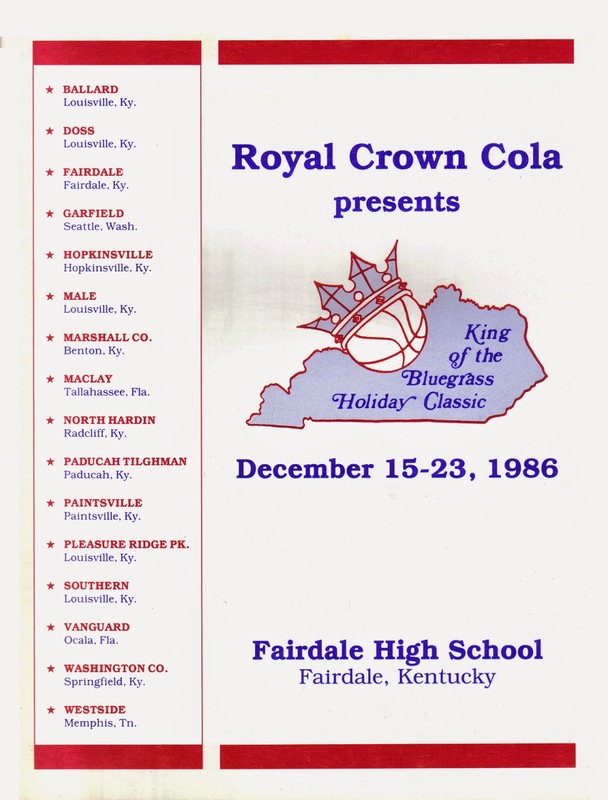 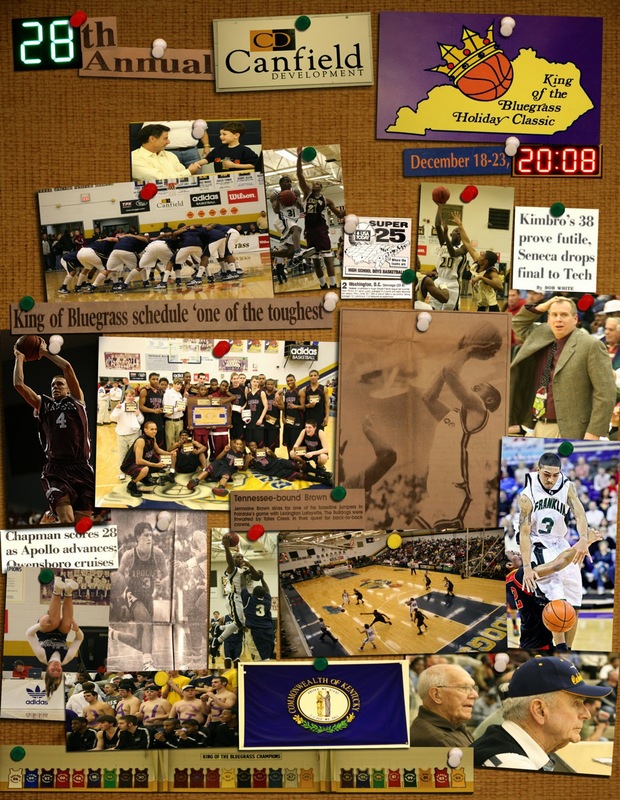 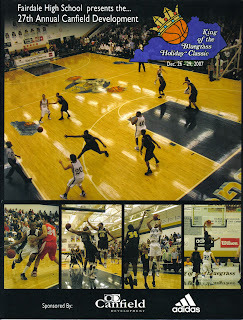 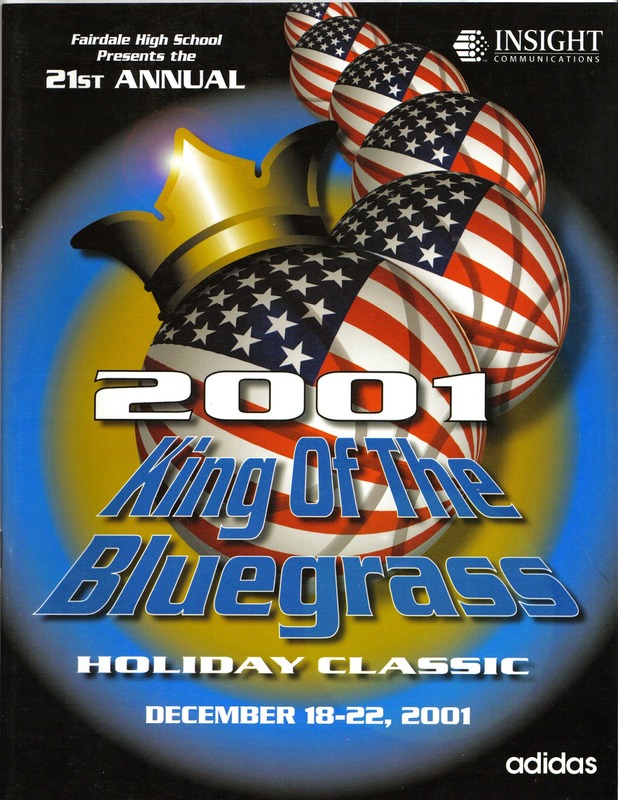 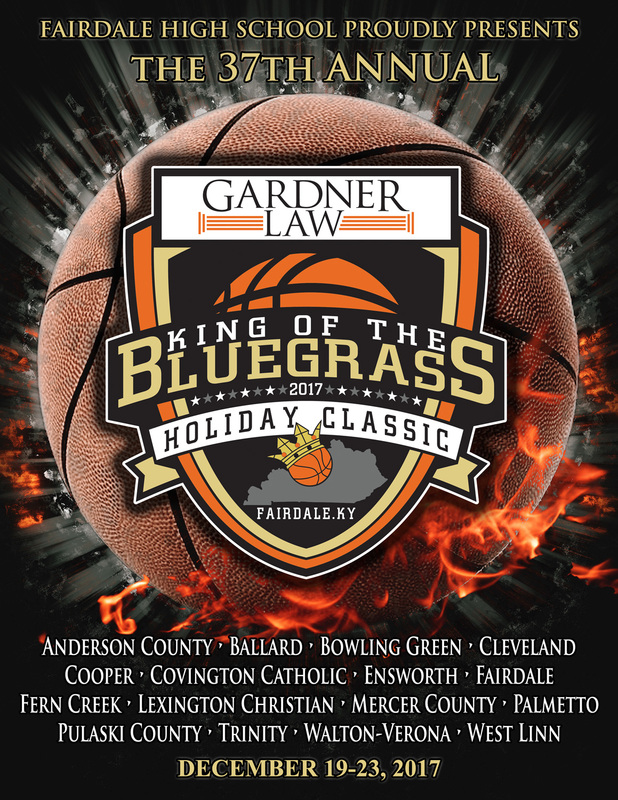 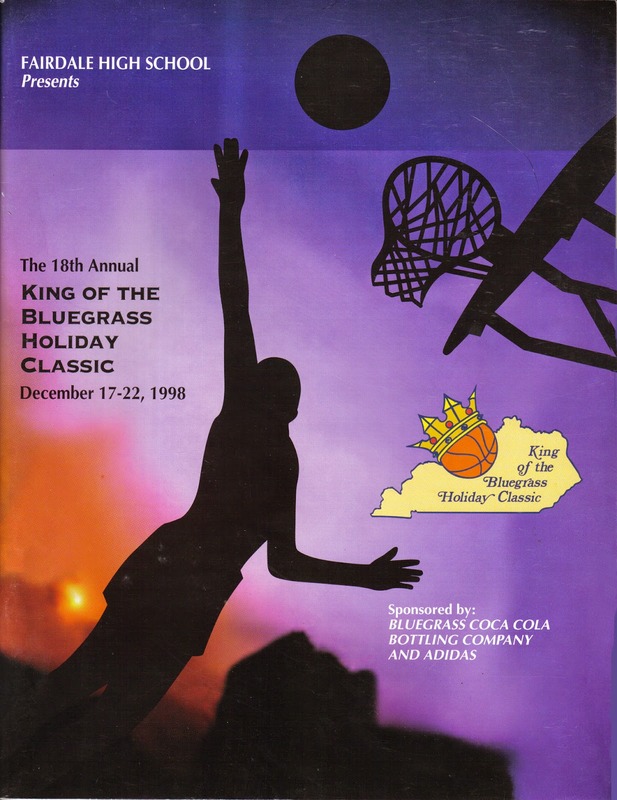 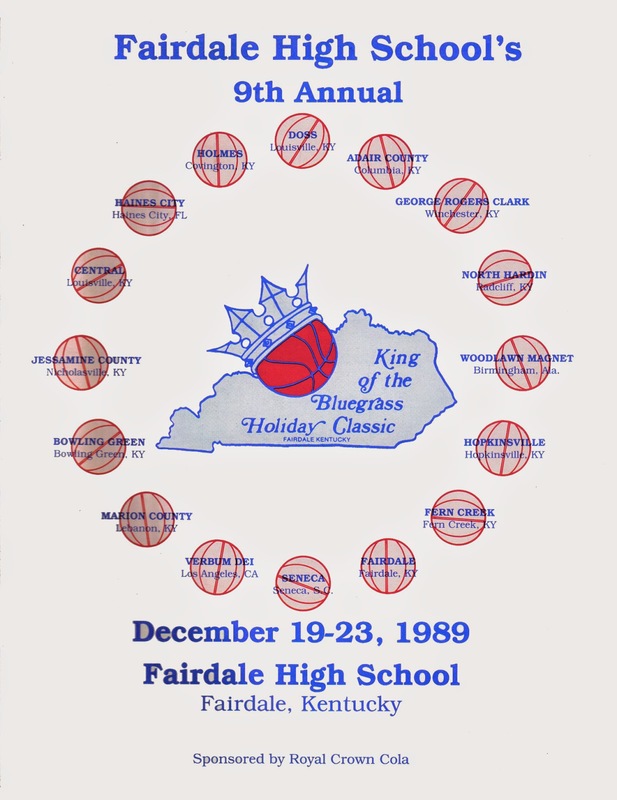 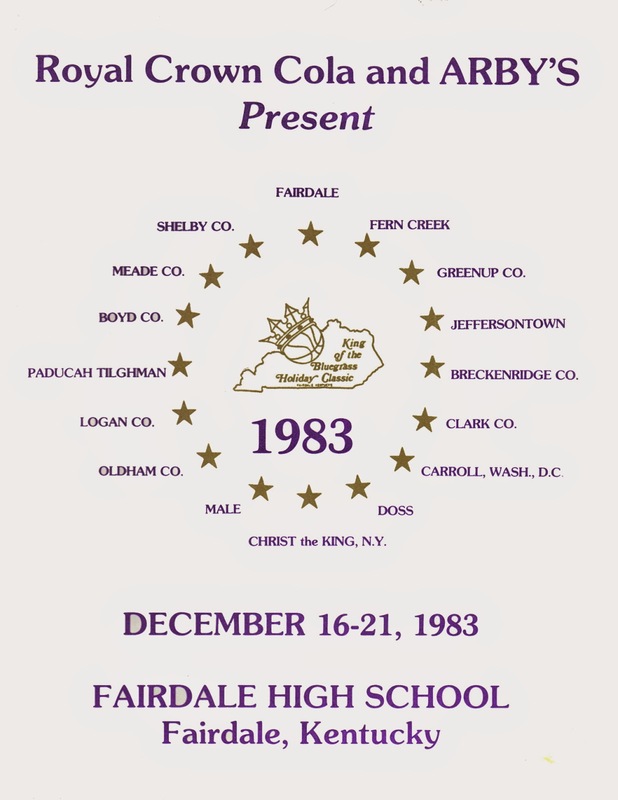 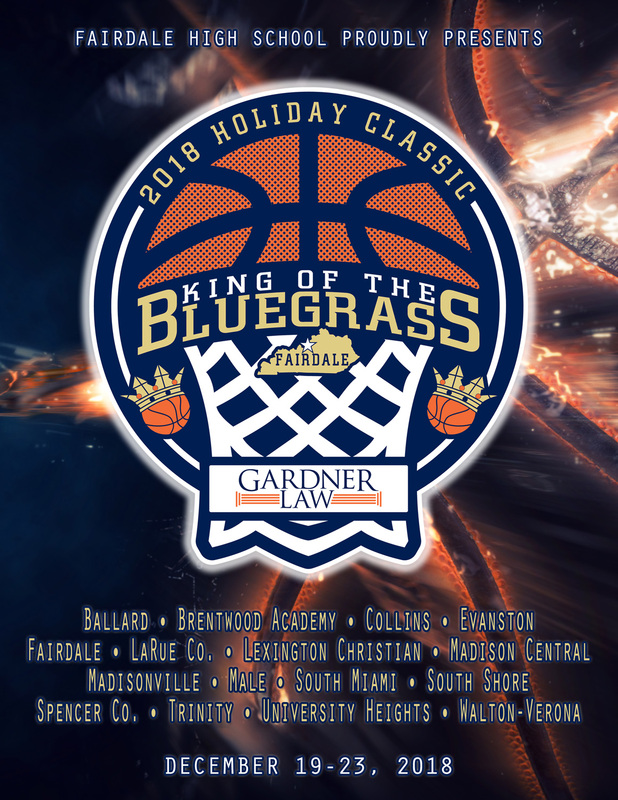 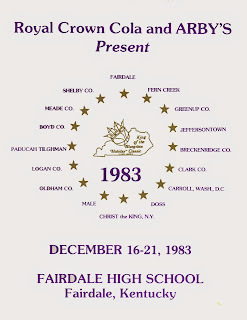 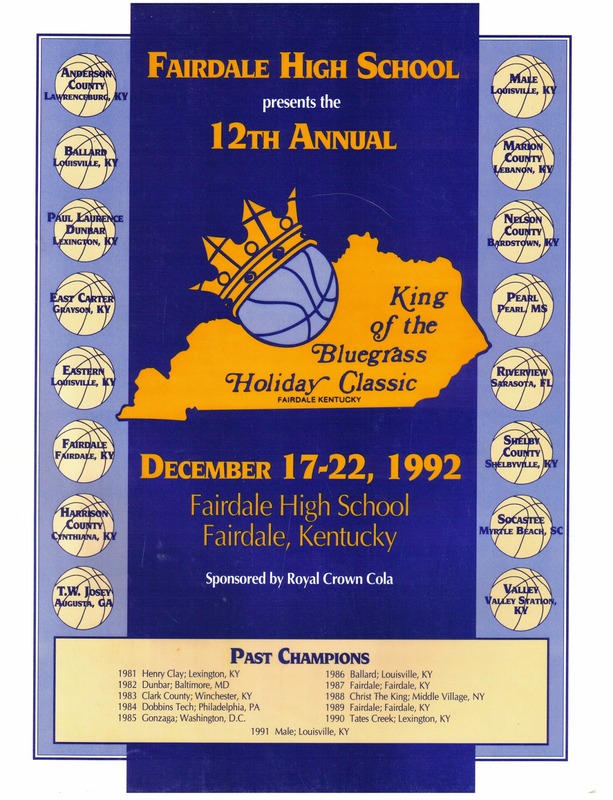 Even before the troops arrived home the tournament was named the “King of the Bluegrass Holiday Classic”. 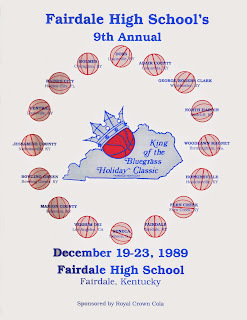 Coach Gardner dreamed-up the logo which has been copyrighted. 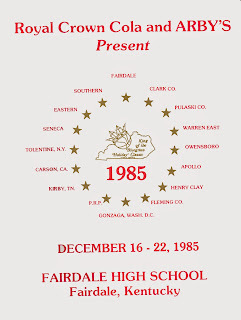 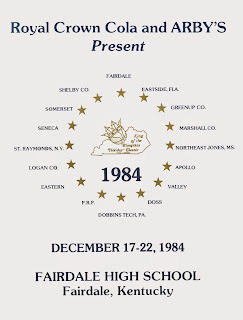 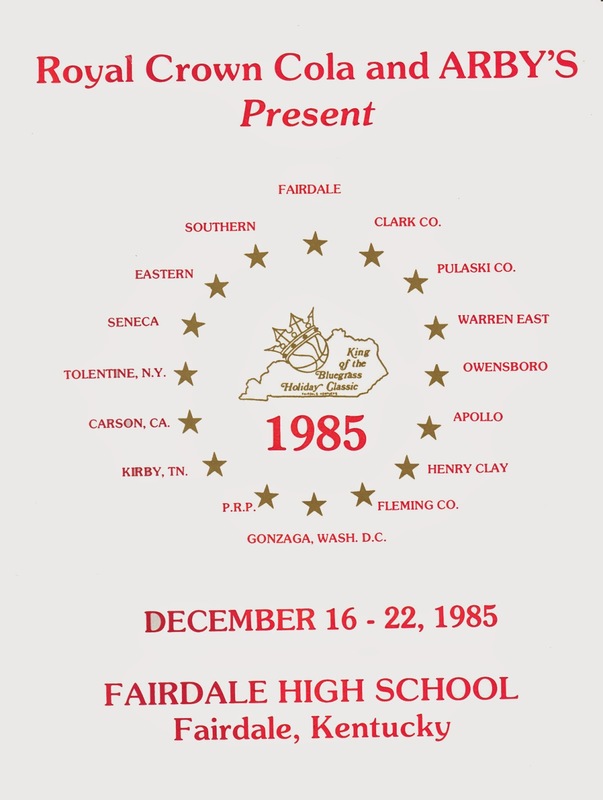 On December 19, 1981 the first ball was tossed up… but not before the Fairdale Fire Department had to bring ladders to center court and repair and electronic problem in the scoreboard that had developed just minutes before tip-off. 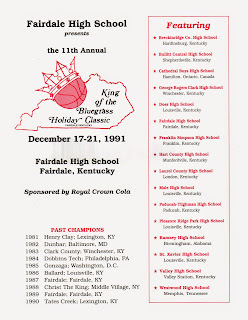 As history will show this 16 team / 26 game prep classic has been recognized as one of the nations finest. 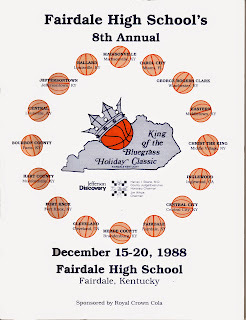 One of the schools invited that first year was Coach Dale Burns’ Tennessee High School from Bristol, Tennessee. 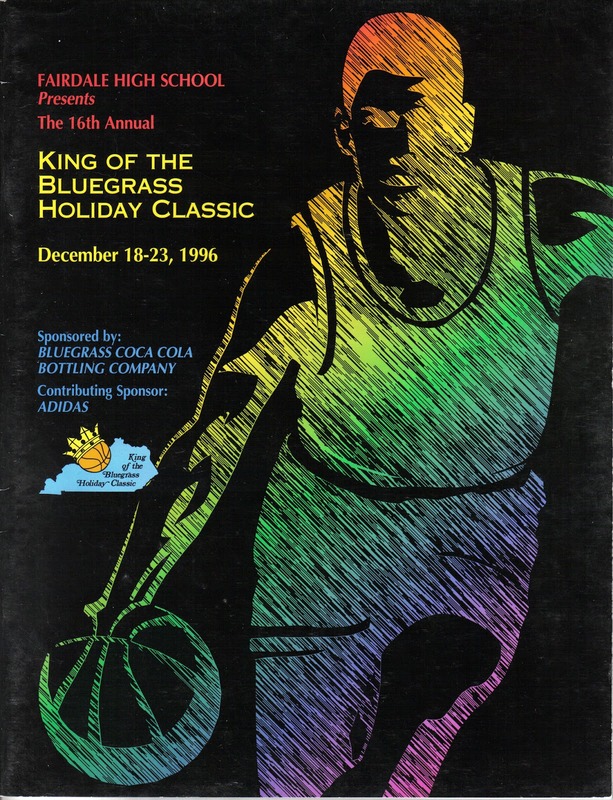 After leaving the Bluegrass, Burns went back to the Volunteer state and started the Arby’s Classic following the exact format as the Kingdom of the Sun and the King of the Bluegrass. 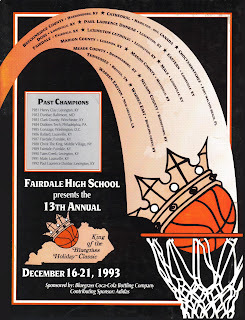 I guess you could say that Coach Jim Haley was the father of high school prep tournaments. 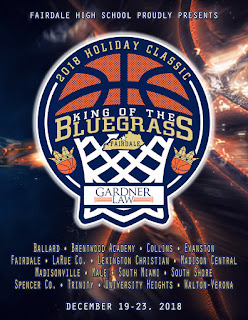 Today, there are tournaments held all over the U. S., but these three round ball showcases are three of just a few still operated by high school coaches and not sports promoters. In the early days of the King of the Bluegrass teams would never turn down an opportunity to bring there talent to this basketball rich state. 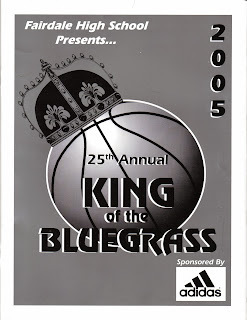 All we had to offer them was 1/17th of the gate receipts. 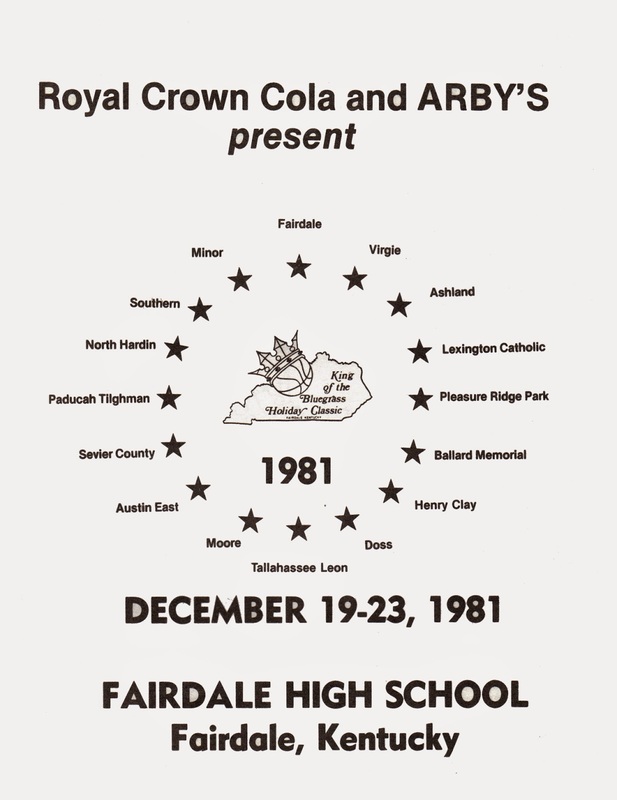 Fairdale kept 1/17th for operating expenses. 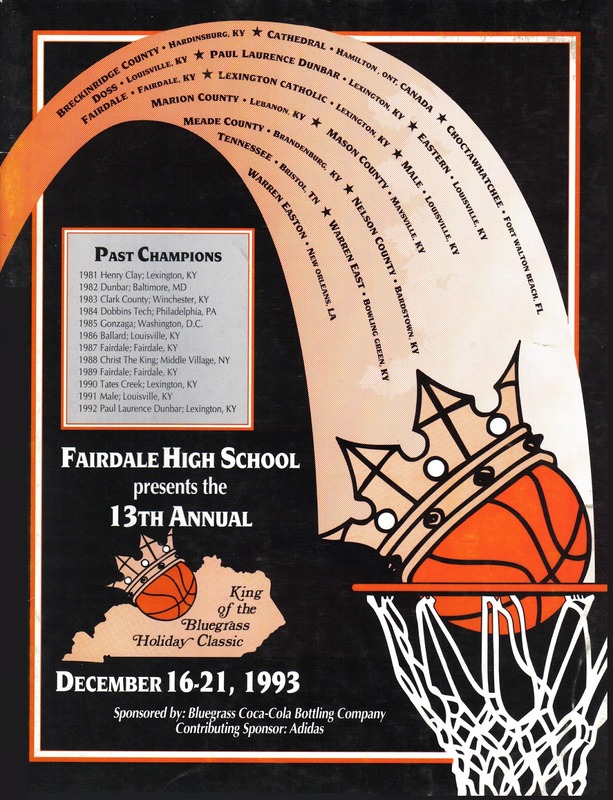 The community of Fairdale spent countless hours donating their time and energy to make this a success… and the same is true to this day. 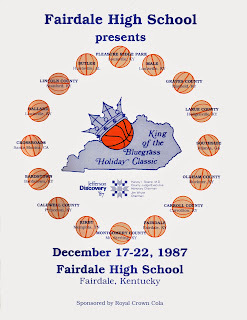 In 1982 Baltimore Dunbar came to the King of the Bluegrass and went home with a whooping $947. 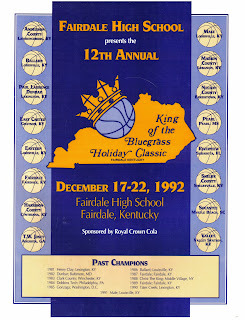 They were the #1 time in the nation, were crowned National Champions, had 9 Division I players and had three first round NBA draft choices after their college days were over. 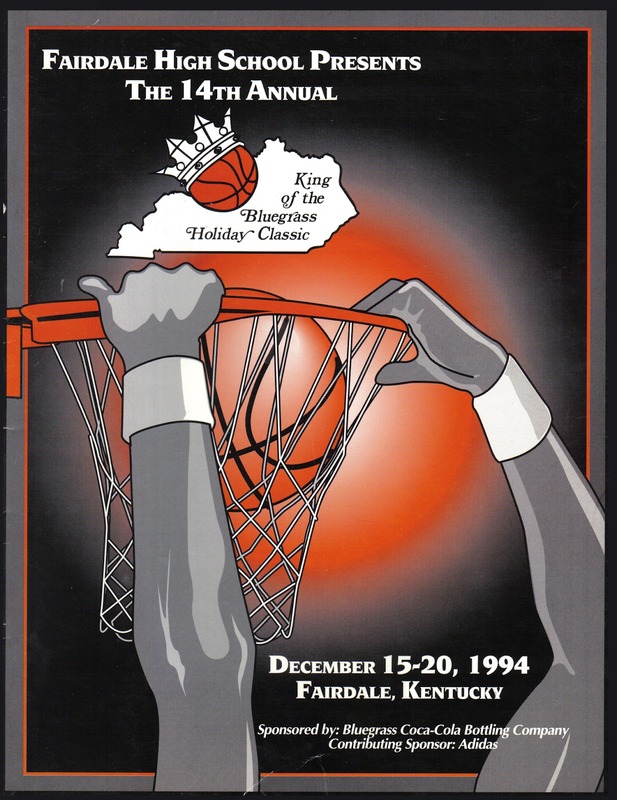 They were, Reggie Williams, Reginald Lewis and Muggsy Bogues. Williams was also named the National High School Player of the Year. 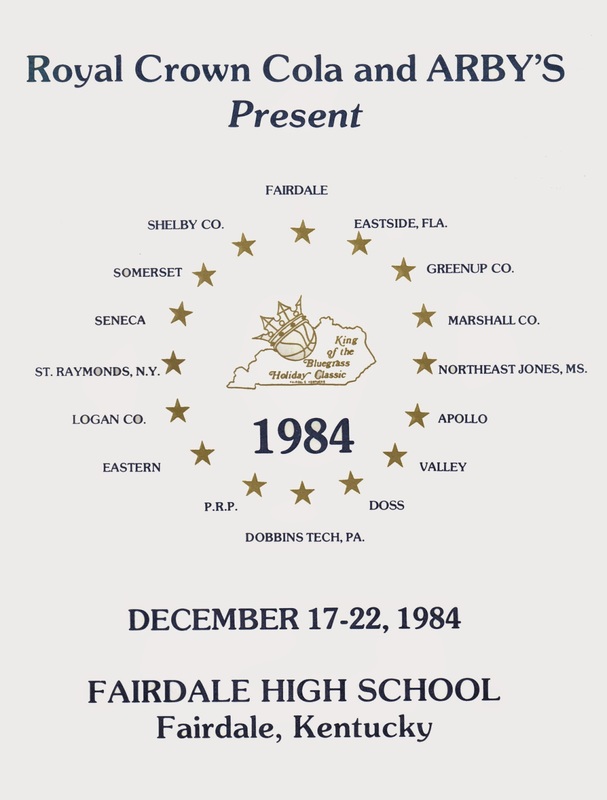 In 1984 USA Today #5 Philadelphia Dobbins Tech defeated #3 Louisville Seneca in the championship game 75-70. 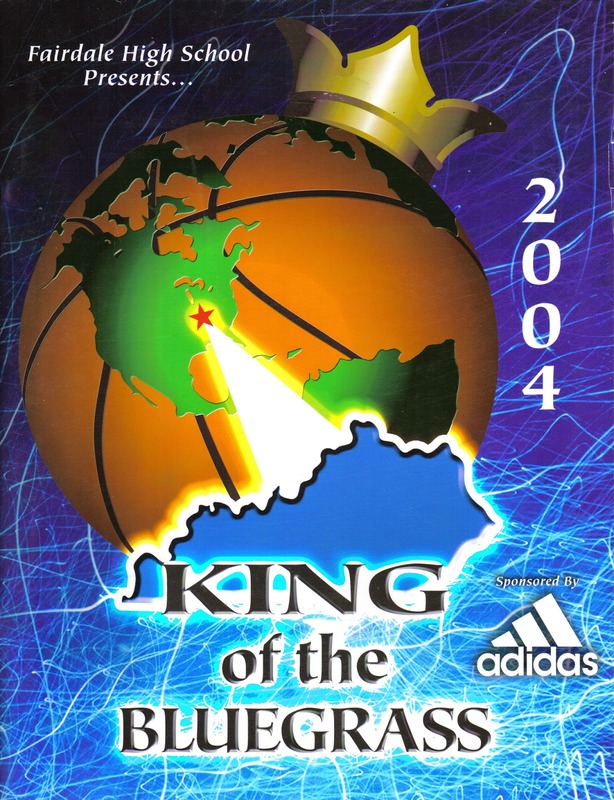 To this day that game goes down as one of the greatest games in the tournaments long history. 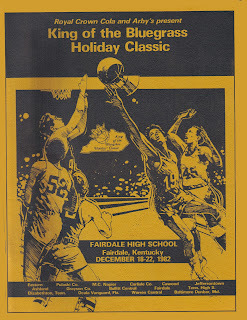 That team featured the late Hank Gathers, Bo Kimble and Doug Overton. 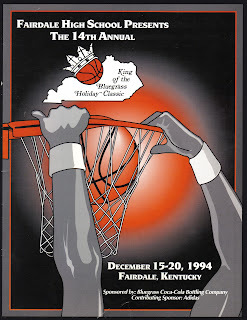 Kimble and Overton both went on to the NBA and had not been for his tragic death Gathers may have been the #1 NBA pick as he led the NCAA in both scoring and rebounding. Nationally ranked teams would proudly come to the Bluegrass for a split of the gate until the mid ‘80’s when sports promoters started passing out the big bucks, something the high schools could not afford. 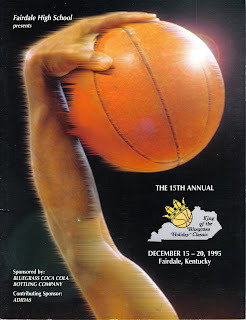 Without a doubt the hottest ticket ever in the tournaments history was in 1984 when Rex Chapman brought his game to town. On the Saturday before the classic began Al McGuire named Chapman, a University of Kentucky signee, the nations #1 prep hoopster. The doors were closed hours before his team took the floor. 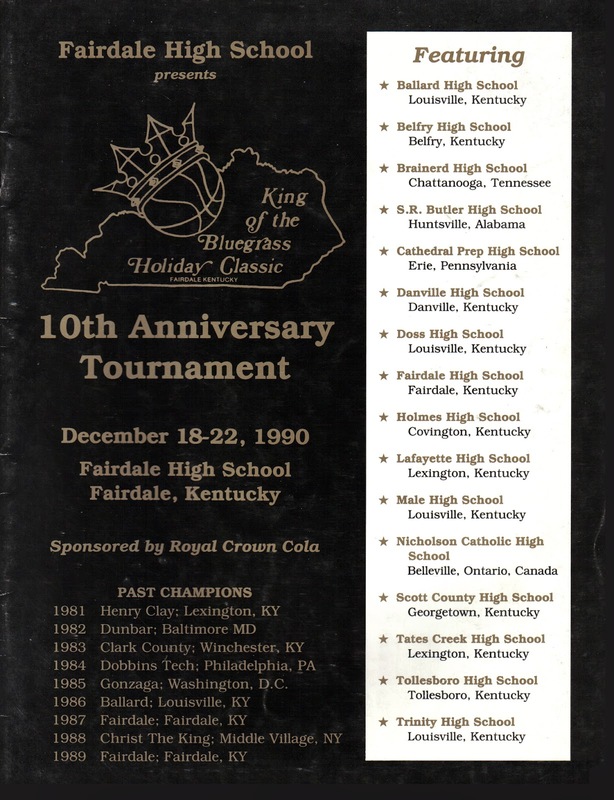 After the dollars got out of hand, the tournament started getting out-of-state teams with great juniors or great programs…we just couldn’t compete with the big dollars for the “Blue Chip” seniors and nationally ranked teams. It wasn’t until 2006 when Steve Canfield owner of Canfield Development stepped up and graciously offered to sponsor our tournament in an effort to bring in great talent once again. 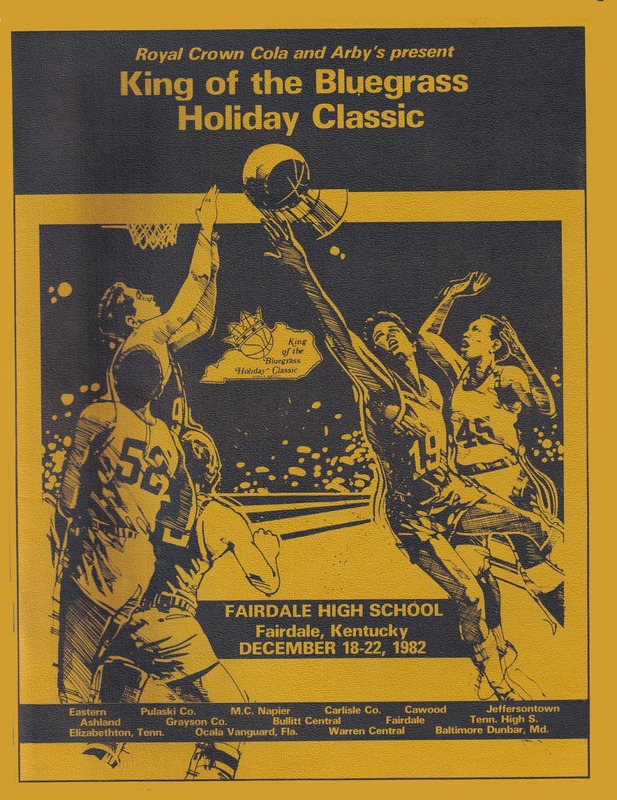 When the tournament opened the doors in 1981 tickets were $5. 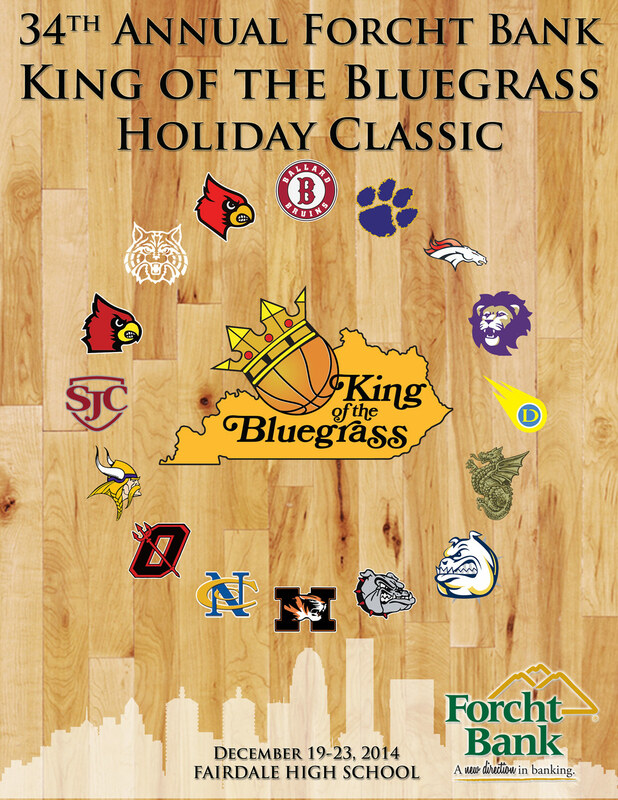 Today, tickets for the classic are just $8. 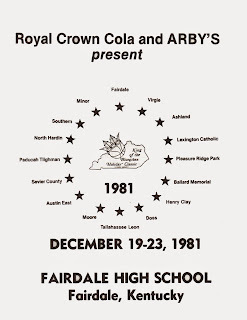 For more history please browse different sections on this website.